We invigorate brands with digital marketing as a tool to connect to and communicate with audiences, wherever they are. 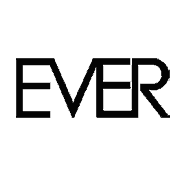 Ever is a digital agency that helps organisation understand digital marketing and realise the online opportunity. We use data driven digital strategies to connect people to brand online. To deliver data-driven digital marketing that helps organisation to attract, engage, and delight audiences by delivering experiences that are relevant, helpful and personalised. The key to our success is that we embrace collaboration and change. We build digital marketing teams around clients to align communication, strategy, and measurable goals creating a seamless and potent integration. Our relationships are built on integrity, loyalty, & trust. Every business is unique with diverse objectives. We take time to evaluate and understand your business, website and goals. After all, your success is our success! A blueprint for success is a digital marketing strategy with precise goals, clear direction, timelines and reliable communication to ensure we deliver the results you expect. Our advanced tools and flexible techniques allow us to successfully implement and adapt your strategy to match a dynamic market. We keep our fingers on the digital pulse. We use relevant, business-focused metrics as markers for success. The data doesn’t lie, and monthly result analysis lets you keep an eye on ROI. We are results based, and we deliver! We believe in developing active partnerships with creative clients because this plays a significant role in customer interest, satisfaction, and loyalty. Digital marketing is a dynamic industry that require continuous innovation and development of processes to beat the trends and competitors. Digital marketers have an obsession with vanity metrics. Tracking costs to determine CPA/ROI is critical to have an accurate picture of where to invest in the future. Our talented team has provided high-value digital solutions, results, and growth for our clients. Our skills blend technology, design and marketing make us ideal consultants and partners. contact the freshest digital marketing agency comprised of digital natives, creative thinkers and coffee lovers.